I made this cute reversible Chick & Egg for both my kids for Easter. 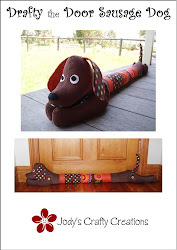 Such a clever idea - a reversible toy! You turn it inside out and the egg becomes a chick and turn it back again to become an egg. The kids loved them. This pattern is designed by the talented Abby Glassenberg. I bought this from her Etsy shop and the pattern was emailed through and I managed to make them up just before Easter Sunday. 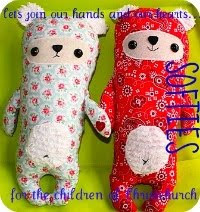 A great way to use up some polar fleece scraps of fabric and they didn't take very long to make at all. Here's something else I have been making too. These are the party bags for my daughter's birthday party this weekend. There will be 5 girls and 2 boys so I made all the girls ones using the Woodland range of fabric by Natalie Lymer. I just love this fabric range. The boys fabric was some I had in my stash and originally came from Spotlight. This pattern is by Monica Solorio-Snow of Happy Zombie. She calls them Small Treat Totes and it is a free pattern you can get from HERE.